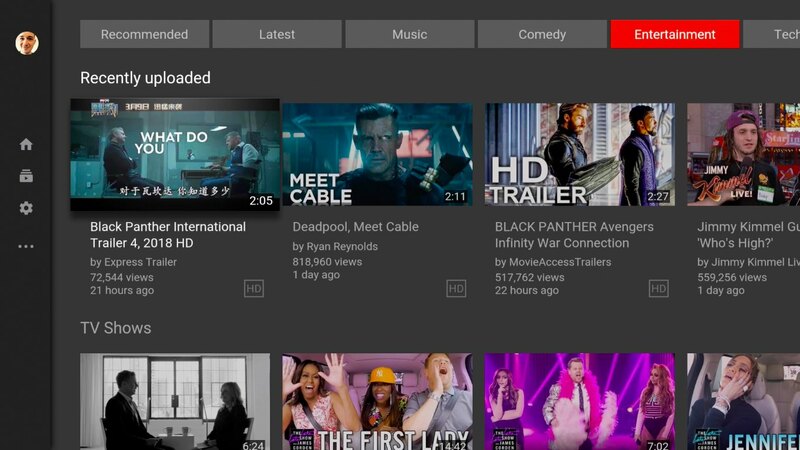 YouTube has released a major update to its Apple TV app, bringing the first major redesign since the app launched in late 2015. 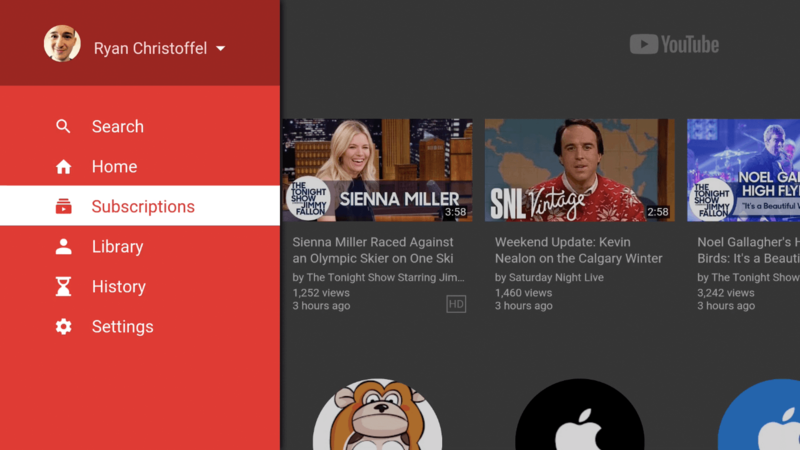 While the previous YouTube app retained some UI elements common to tvOS, the new version makes no attempts to feel native to the Apple TV, instead adopting an interface that's consistent with its presence on other platforms, such as Android TV. Where the old app housed its navigation menu at the top of the screen, the new version moves it to the left side. Also, similar to the recent Amazon Prime Video app, navigating through YouTube won't make the familiar tvOS sound like most other apps do. When you're used to getting consistent audio feedback with every swipe on the Siri Remote, it's a bit jarring to hear nothing. 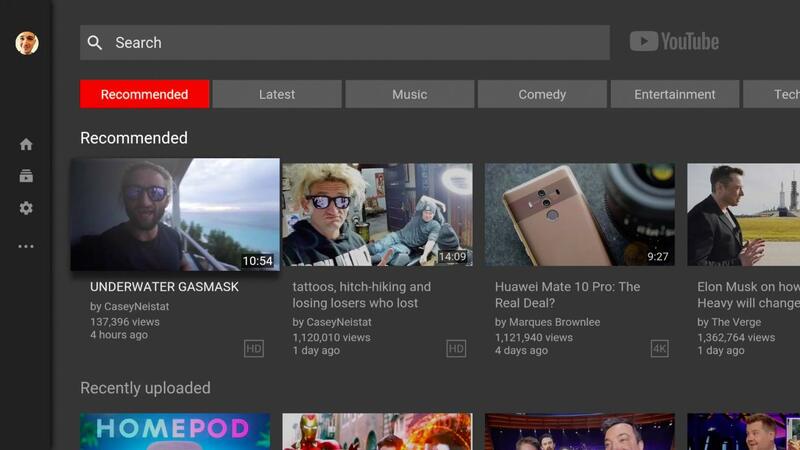 And finally, in the area of being a poor OS citizen, YouTube still just displays a static image when sitting on your Top Shelf. Fortunately, it's not all bad news though. 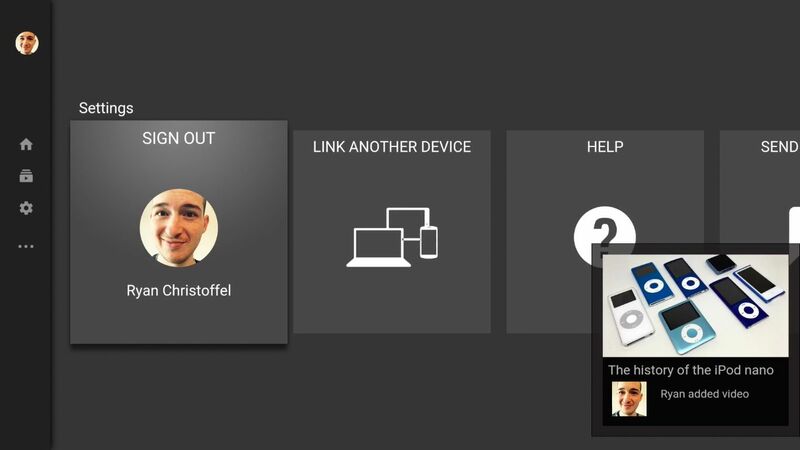 The new look comes with a couple new features. 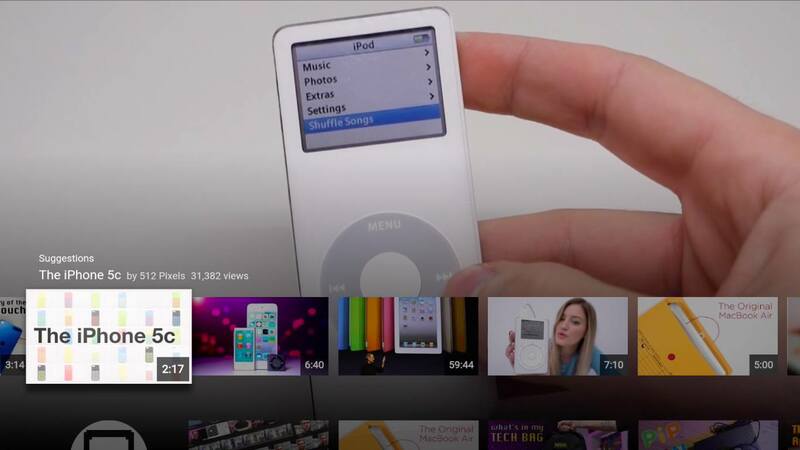 Most significant, you can now link YouTube on the Apple TV to YouTube for iOS, as seen below. 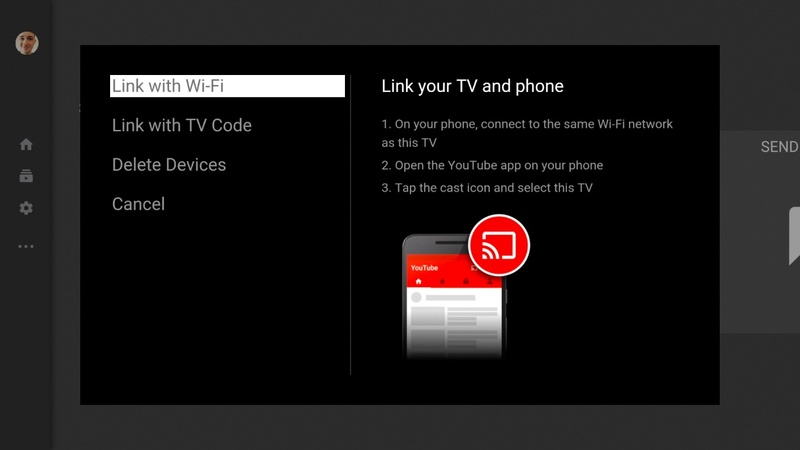 Linking apps allows you to send videos playing on your iPhone to the big screen with a single tap, Chromecast-style. It also enables managing your queue of upcoming videos from your phone. Adding something to the queue from your phone will display a message on the Apple TV reflecting that change. Another, more minor change to the app is that now when you have a video highlighted, a short clip will auto-play in a loop. 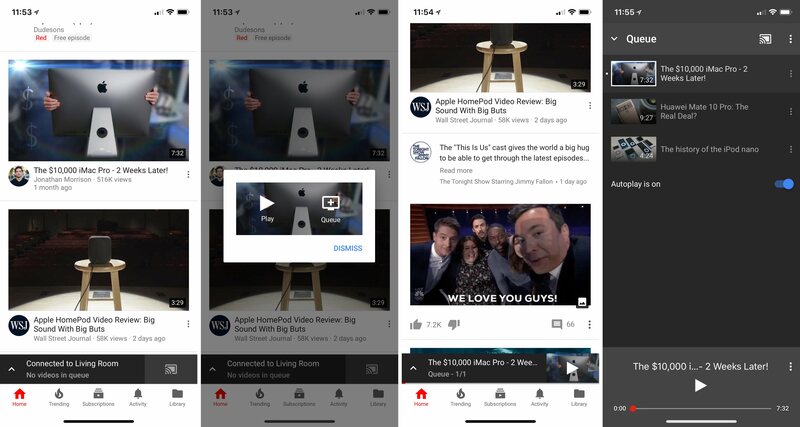 And once a full video is actually playing, you can swipe up to browse through videos in your current queue, or see a wide assortment of other suggested videos. 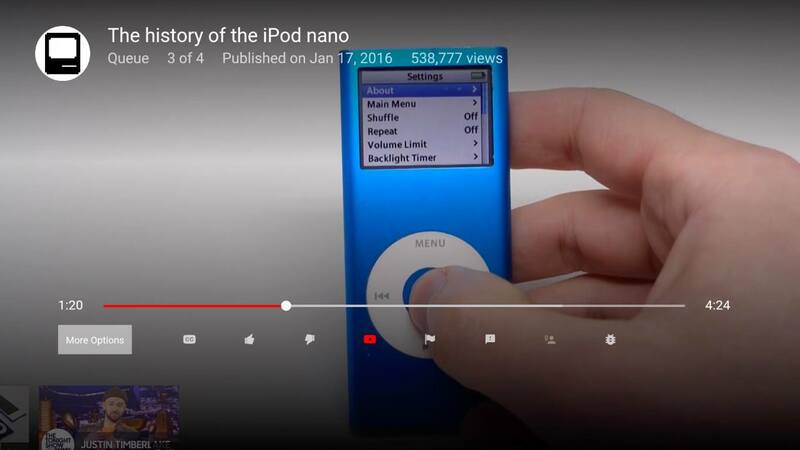 A short clip will play when a video's highlighted. Browsing video suggestions during playback. Overall, this YouTube update is a mixed bag. The new features are nice, but would it have been too much trouble to enable those features while still retaining some familiarity with tvOS?